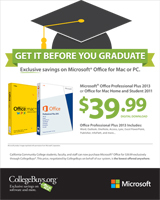 8.5X11" Save big before you Graduate Flyer (PDF). Available to faculty at participating schools only. This is a PDF flyer that you can open/download immediately.